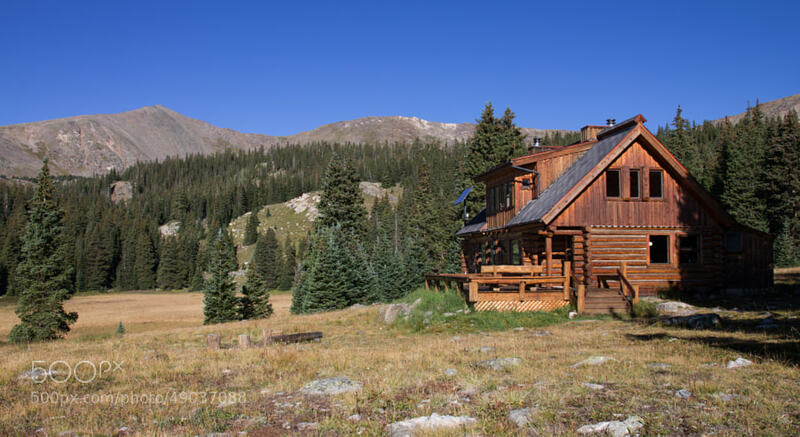 Spread across the mountains of central Colorado are a series of huts built to honor the 10th Mountain Division soldiers that fought in World War II. The huts are available for rent and can hold a whole group of hikers or cross country skiers. I personally wouldn't call these beautiful buildings huts, but rather cabins. With wood burning stoves to fight the chill of the altitude and winter nights, to kitchen facilities, these accommodations take take the most grueling cross country trip and turn it into a luxurious evening of relaxation and story telling. The hut below sits along an open grass field with Homestake Peak in the background. Whether you are hiking up to Slide Lake to fish, or climbing Homestake Peak, there are amazing views back towards Leadville.